Over 2608 students from participating UW campuses have graduated with a Bachelor of Science degree in Nursing (BSN) from this model statewide program. The program, designed for Wisconsin nurses, provides a shared core curriculum of upper-level nursing courses, along with a “home campus” model for fulfillment of other requirements for the BSN degree. The program is available to residents of Wisconsin, as well as state border areas of the upper peninsula of Michigan, and contiguous counties of Illinois, Iowa or Minnesota. The initial idea began in 1992 when faculty from five University of Wisconsin campus nursing programs located in Eau Claire, Madison, Milwaukee, Oshkosh and Green Bay began meeting together with facilitation provided by UW-Extension. The goal was to collaboratively provide BSN degree completion for registered nurses through the use of distance technologies. 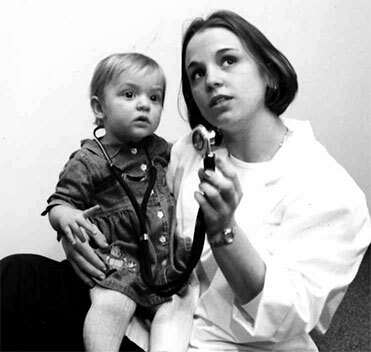 In 1995, the program was launched, then called the Collaborative Nursing Program. 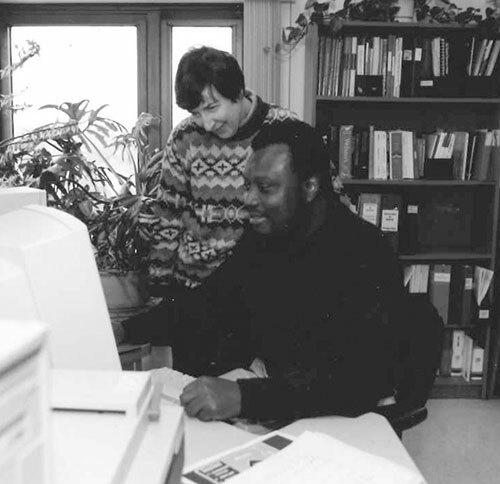 A Steering Committee designed a collaborative program of shared courses with implementation of the first two courses in spring 1996. Currently, two key committees exist, the BSN@Home Steering Committee and BSN@Home Advisors Committee. Both committees, with representatives from each of the campuses and UW-Extension, meet regularly to facilitate the operations of the program. The UW System Collaborative Nursing Program launched a new website and officially changed its name to BSN@Home in 2006. In fall 2013, UW-Stevens Point offered its first nursing course as a new partner in the BSN@Home program. 20th year anniversary of the BSN@Home program – a celebration of this well known, high quality program that has contributed to building a BSN-prepared nursing workforce in Wisconsin and beyond. The program started in 1996 using audiographics, and later to online courses, to innovatively deliver courses to students across the state and areas on bordering states. BSN@Home receives the University Professional and Continuing Education Association (UPCEA) 2016 Celebration of Excellence Award for Mature Program. The Mature Program award recognizes established credit or noncredit programs that have demonstrated sustained innovation. Significant increase in student enrollment- 534 students enrolled in fall 2014. Newly revised BSN curriculum implemented in fall 2014; Development of the new curriculum involved over 30 UW nursing faculty. New core courses were added, including 453 Information Management & Healthcare Technology, and 441 Chronic Care Management. National initiatives to increase the BSN-prepared workforce to 80% by 2020. In fall 2013, UW-Stevens Point offers first nursing course as a new partner in the BSN@Home Program. 10th anniversary of CNP Program and launch of new program name and website: BSN@Home. Partner Institutions expand curricular options by introducing several electives. On-line shared database and enrollment management system implemented. Audiographics courses discontinued-all courses taught online. Wisconsin Technical College System (WTCS)/CNP Articulation Agreement created. Enrollments increase in Internet courses and decline in audiographics courses. CNP evaluation shows Internet is the preferred technology. CNP receives International Teleconferencing Excellence Award for a distance learning educational program from the International Teleconferencing Association. The first two courses offered in spring 1996 via audiographics. 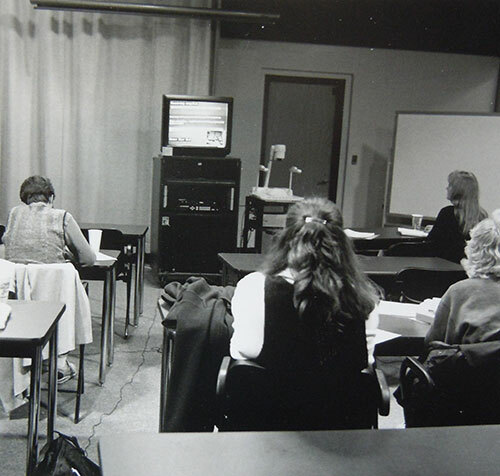 The program was fully operational with five core nursing courses offered in fall 1996.